30-99m Twmpau - Welsh hills at or above 30m and below 100m in height with 30m minimum drop, with an accompanying sub list entitled the 30-99m Sub-Twmpau with the criteria for this sub category being all Welsh hills at or above 30m and below 100m in height with 20m or more and below 30m of drop, with the word Twmpau being an acronym standing for thirty welsh metre prominences and upward. 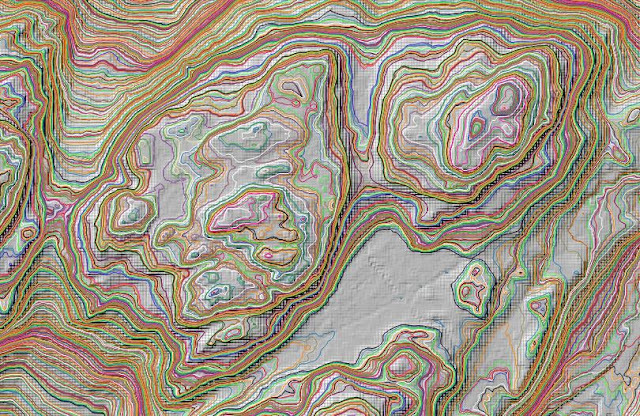 Prior to LIDAR analysis this hill was listed with an estimated c 19m of drop based on an estimated c 93m summit height based on interpolation of the uppermost 90m ring contour and an estimated bwlch height of c 74m based on interpolation of bwlch contouring between 70m – 80m on the Ordnance Survey 1:50,000 Landranger and 1:25,000 Explorer map. The hill takes its listed name from the wood that its summit is situated in; Coed Abergwynant, and it is adjoined to the Cadair Idris group of hills, which are situated in the south-western part of North Wales (Region A, Sub-Region A3), with the hill being positioned between the Afon Mawddach to the north-west and the A 493 road to the south-east, and has the town of Dolgellau towards its east. 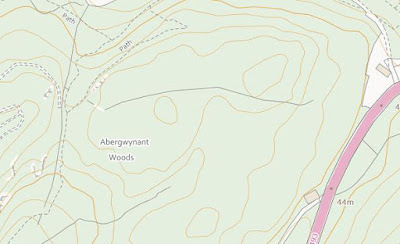 If wanting to visit the hill permission to do so should be sought as it is not a part of designated open access land, for those wishing to do so the nearest convenient access point is the A 493 road and a track to the east of the summit. The addition of Coed Abergwynant to 30-99m Sub-Twmpau status is due to LIDAR analysis conducted by Myrddyn Phillips. The LIDAR (Light Detection & Ranging) technique produced highly accurate height data that is now freely available for much of England and Wales. 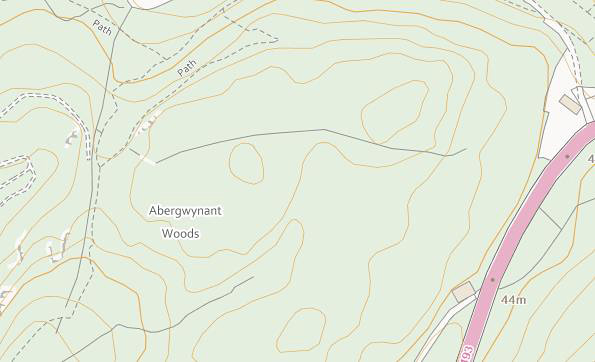 Therefore, the 91.0m LIDAR analysis for the summit position at SH 68136 17938 and the 69.5m LIDAR analysis for the bwlch position at SH 67827 17866 gives this hill 21.5m of drop, which is sufficient for 30-99m Sub-Twmpau status.